The most successful franchise in NBA history enter into the new season with a lot of unknowns hanging over them. Their coach of 9 years, Doc Rivers, has departed for LA and the Clippers job. While two future Hall of Fame inductees and long time franchise cornerstones, Paul Pierce and Kevin Garnett, have also been traded to divisional rivals, the Brooklyn Nets. This leaves the Celtics for the most part with a group of raw, young and unproven players as they begin their rebuilding process. Celtics General Manager Danny Ainge has taken a number of gambles going into the new season, but none more significant than his new Head Coach. 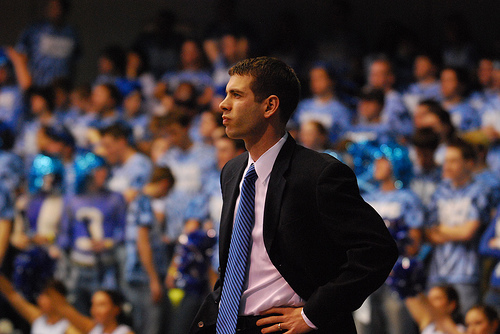 Brad Stevens takes charge in Boston as the youngest coach in the league, aged 38. Stevens has been a very successful coach at collegiate level, spending 6 years at Butler, where he established the Bulldogs as one of the premier teams in the country. Yet his lack of experience in dealing with the pressures and egos that come with the NBA mean that there are question marks over his suitability from the beginning. In terms of their roster, the Celtics have a group of strong role players, but not the sort of star studded line up that the spectators in the TD Garden have grown accustomed to. 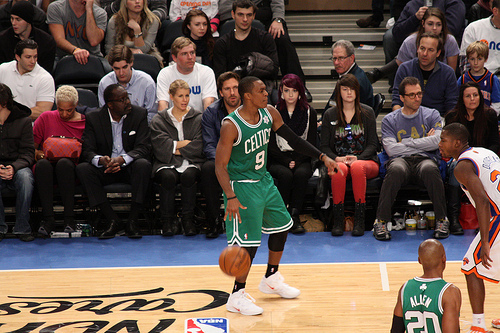 Rajon Rondo will be the key to the Celtics chances of even moderate success this season. The 4-time All-Star is one of the best floor generals in the NBA, more than capable of scoring, assisting, rebounding and stealing from the point guard position. With Rondo recovering from a torn ACL and unlikely to return for at least another 4-6 weeks though, the Celtics need to find a way to keep their heads above water until he’s back on the floor. Talented young guard Avery Bradley has developed into an elite on ball defender and will contribute his fair share of points. Also, although forward Jeff Green has spent much of his career as a 6th man option off the bench, he will likely have to step up into a starters role this year and undoubtedly has enough talent to compete with the league’s best. The Celtics are one of many teams in the league who are almost caught between a rock and a hard place. Not good enough to contend, it may well be in their best interest to miss out on the Playoffs, and take their chances in the highly rated upcoming draft class of finding a future star. Yet losing isn’t in the Celtics DNA, and players like Rondo and Bradley are true competitors who won’t roll over too easily. If the rest of the new look Celtics buy in, they could have a better season than many expect. Even at that, the Playoffs is a tough ask though. In the time since the Nets relocated from New Jersey to Brooklyn before the beginning of last season, they have quickly established themselves as one of the NBA’s true glamour franchises. The relocation of the team to the state of the art Barclays Center in his native Brooklyn was envisioned by rapper Jay Z, who can often be found sitting court side with his wife, Beyonce. While majority shareholder, Russian Mikhail Prokhorov, has shown no reluctance in splashing the cash making more money available for salary than any other owner in the league. As a result, a roster that was already laden with top tier NBA players has grown stronger, and with a young coach who built a legendary career as a player, the Nets have every reason to feel confident going forward. After announcing his retirement from playing, spending last year with the Knicks, Jason Kidd took next to no time before returning to the league. Having spent 19 years in the NBA as a leader on the floor, Kidd now faces the challenge of adjusting to life from the bench. To help in his development, the Nets have brought former head coach Lawrence Frank back for a role as an assistant, a man who with 9 years experience as a head coach should be able to guide Kidd in the right direction. It’s almost impossible to pick out the Nets best player this season. They have arguably more depth than any other team in the league, but perhaps even more important is the fact that they have constructed a group of veterans that know how to win. Pierce and Garnett bring the win at all costs mentality to the table, and the experience of closing out big games for a long time. In Joe Johnson, the Nets have one of the league’s clutch scorer’s and a man who is almost unstoppable in isolation in close game situations. 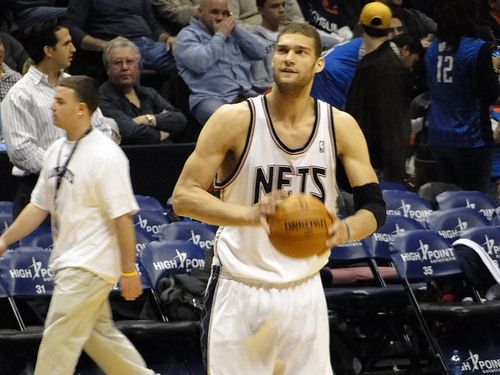 Deron Williams has long been one of the best point guards in the NBA, while Brook Lopez can bang bodies with the biggest of them in the middle, and still maintain a soft finishing touch at the basket. When you add the likes of Andrei Kirilenko, Jason Terry, Reggie Evans and Andray Blatche off the bench, it’s clear the Nets are capable of competing with anyone. The Nets have built a talented, but aging group of players, that are designed to compete, and try to win within a 2 year window. With the players at their disposal the Nets should have no problems in succeeding during the regular season, the question will be more about, what they’ll have left in the tank come Playoff time. 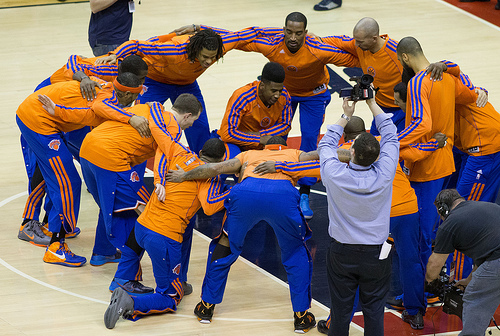 The Knicks enter the new season much the same as they were last season, which isn’t necessarily a good thing. The last thing the Knicks would have wanted to see after claiming their first divisional title in 19 years is for the Nets to get stronger but thats exactly what’s happened. With star man Carmelo Anthony having already announced that he will test the waters of Free Agency next summer, the Knicks are finding themselves in a battle to maintain their supremacy in the Big Apple. 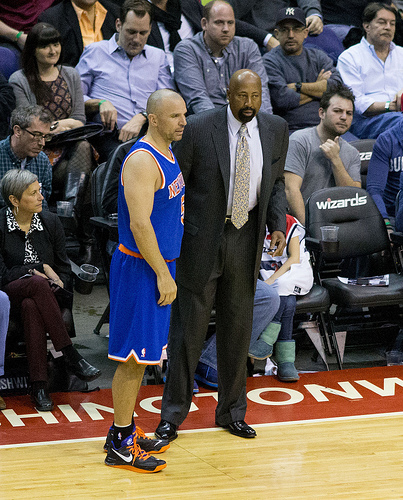 Having won 74 of his 106 games in charge of the Knicks, Mike Woodson has done a stellar job so far. This is undoubtedly the toughest season he has faced yet though as his teams rivals have grown stronger, while the Knicks have remained static. Of all the teams in the league, New York offers one of the most passionate, and therefore unforgiving, fan bases around, so if things don’t go as well as expected this year in New York, expect Woodson to feel the heat. The Knicks are lucky enough to have Carmelo Anthony, one of the few elite high volume scorers in the league. With that type of player comes a risk though. If Melo goes through a cold shooting streak, the team will live and die by the sword. Aside from Anthony, the Knicks have others who like to let shots fly in JR Smith and Andrea Bargnani. This will result in both frustration and ecstasy for Knicks fans as shooting figures will inevitably vary dramatically from night to night. Up front the Knicks have talent like Tyson Chandler and Amare Stoudemire, although Stoudemire has yet to mesh successfully with Anthony and the Knicks system. 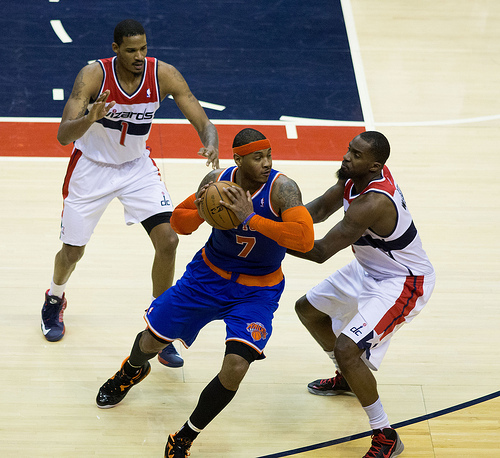 While the likes of Raymond Felton and Iman Shumpert will offer solid production from the guard positions. The Knicks will finish this year with a winning record, there’s no doubt about that, but there are too many inconsistencies and unpredictable aspects of their play to see them achieving great success. For the moment, it seems like the Knicks will need to adjust to looking up at their rivals across the bridge in Brooklyn. The Raptors are currently in the type of rut which tends to be common in the NBA. They are a good team but by no means great. Having dropped off the pace in recent years, Toronto shook things up with a big trade last season to bring in proven swingman, Rudy Gay, from Memphis. It made a difference giving them a go-to option, but still the Raptors look like they may be a just bit short of what’s needed to break through and feature in the Playoffs. 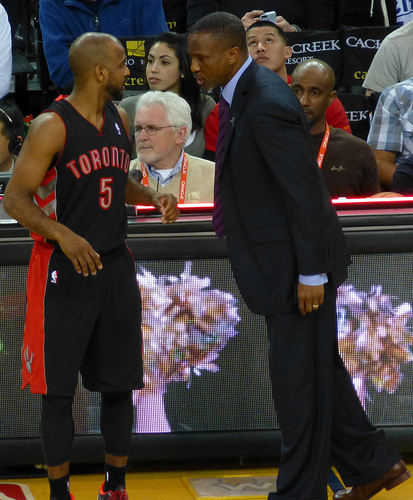 Dwane Casey enters his third season as Raptors head coach knowing that it is likely make or break for him. Following 2 seasons with sub .400 win/loss percentages, Casey will need to at least close the gap between recent results and the Playoffs if he wishes to keep his job. With a new general manager, former Nuggets GM and current holder of the Executive of the Year award, Masai Ujiri now in charge, expect changes if the Raptors aren’t looking strong. In terms of roster options, the Raptors have some nice pieces in the front court. Amir Johnson posted career high numbers last year and looks to be finally finding his groove in the league. Jonas Valanciunas is a center with an extremely high ceiling, who we can expect to have a breakout year this season. 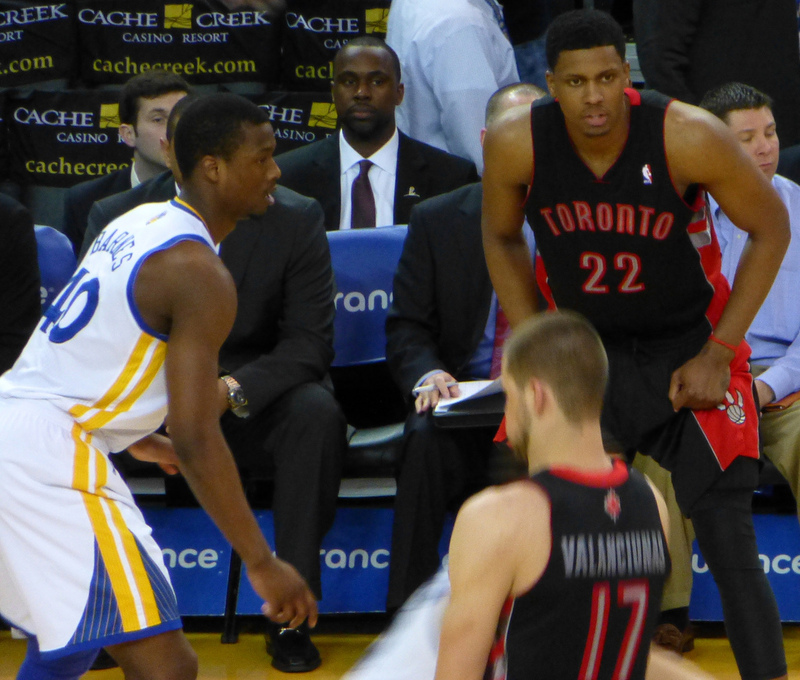 Then there’s the aforementioned Rudy Gay who will shoulder much of Toronto’s scoring load. In the backcourt, although question marks remain over Kyle Lowry at point guard, DeMar DeRozan is a top class developing player who can play either the shooting guard or small forward positions. Overall, the Raptors are still a really solid point guard short of moving to that next level. Don’t be surprised to see Ujiri make big moves before the All-Star break comes around. This year’s Philadelphia 76ers are going to be bad. Really bad. Following their misjudged trade for Andrew Bynum last summer, costing Philadelphia $17m without the center ever stepping foot on the court, the Sixers hierarchy decided it was best to tear it all down and rebuild from scratch. To the shock and surprise of onlookers everywhere, the 76ers traded away their All-Star point guard Jrue Holiday on Draft night, effectively writing off the 2013/14 season and stockpiling for the talented upcoming Draft class. Brett Brown is the new man in charge in Philadelphia entering the season. Brown, like many of the new coaches around the league is taking on his first head coaching job in the NBA. Despite this apparent inexperience, Brown has served the best possible apprenticeship. The Maine native has spent the last 6 years as an assistant coach to Gregg Popovich in San Antonio, meaning he knows a winner when he sees one. There’s not a lot on the Sixers roster to cause their fans to rejoice entering into the season. Top draft pick Nerlens Noel is still recovering from a torn ACL, and may potentially sit out the season to ensure he is sufficiently recovered. This leaves three men who are accustomed to being role players, with the unenviable task of being forced to step up and rally this Philadelphia team as best as they can. 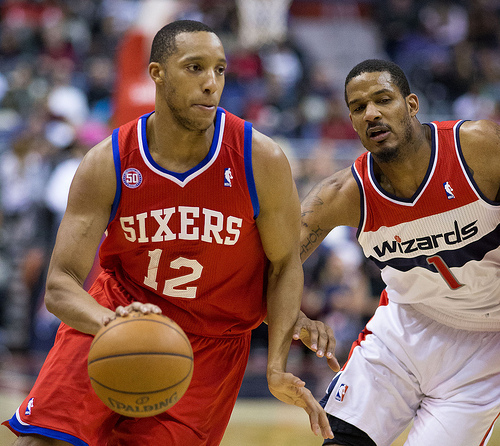 Shooting guard Evan Turner has never really lived up to the expectations that surrounded him entering the league, but he is a capable player who will be forced to score the ball this year. 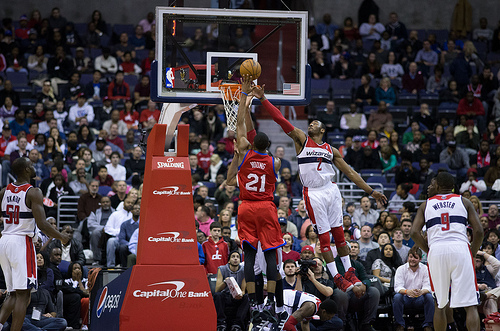 Thaddeus Young is an underrated forward who is versatile and athletic, he can score, rebound, pass and steal. While Spencer Hawes is a talented center with the ability to spread the floor with his strong 3 point shooting. Currently there is a lot of talk of the Sixers potentially finishing this season with the lowest win percentage in NBA history. I think they’ll probably just avoid that mark of 9-73 set by Philadelphia in 1973, but only just. It’s the fact that they’re in that sort of conversation that says it all really. ← Is It Time for A Champions League of Golf?